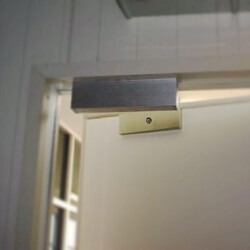 A magnetic door lock can provide easy access while doing a great job at securing a door. This is a great device to use in a space that needs to be accessed often. We will be in your business and repair the lock with as little disruption as possible. We also provide services 24/7 if you encounter an emergency that cannot wait until regular business hours. A magnetic lock uses state of the art technology, and only licensed professionals like us can guarantee the work done will be done right with your satisfaction in mind.